WELCOME to DIVE IN Tampa Bay – South Tampa’s number one resource for local food, music, art, businesses and events. WHAT: Basic cure-all for boredom, apathy and a case of the Mondays. Too often we hear “there is nothing to do,” “I’m bored” and other absurd complaints of inactivity surrounding South Tampa. And now we are here to tell you that those are all lies. WHY: Because there is a beautifully diverse and vibrant life surrounding our growing downtown and we are here to show you the way out of your entertainment apathy and self-inflicted boredom. There is a big world out there, so stop complaining and get wet. 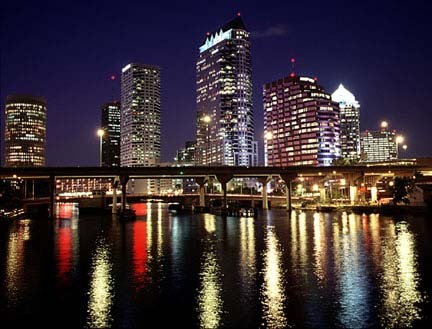 WHERE: We cover all of the best art, entertainment, culture, dining and events in the neighborhoods surrounding Downtown Tampa. So if its happening in Hyde Park,Ybor, Channelside, Downtown, Davis Islands, Harbour Island, andSoHo, you will hear about it here. And even though we think St. Pete is pretty cool too, we don’t think you should have to drive over the bridge to have a good time. A majority of our coverage is in the regions closest to Tampa’s core. But sometimes we will travel Far Out, but only if it’s really worth it. WHEN: Daily. We have a comprehensive list of Daily Specials. So don’t waste your time trying to remember all of the Monday night food specials or Friday afternoon Happy Hours. We have comprehensive lists of where to go everyday for the best bang for you buck. WHAT’S WITH ALL THE QUESTIONS: Most of Dive In’s evaluations are done as W Reviews. We know that your life moves fast so we want to make sure we can keep up. Our W Reviews cut through the BS and get right to the point. Where, What, Why, When and Who (hoW & Weeky specials). Short, sweet and right to the point. Want more? We’ve got that too. Our detailed features will fill you in on all the juicy details. HOW (Can you stay connected): Follow us on Twitter andFacebook so that you can stay one step ahead of the game. You don’t want to be the last to know about dollar drafts, the new bar opening on Howard or free Lightning Tickets, do you?